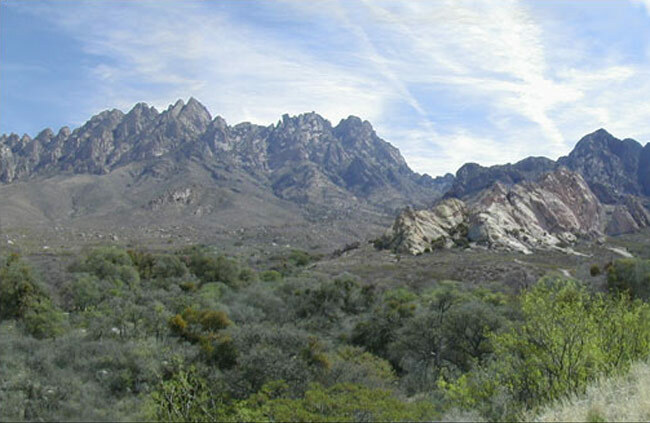 The “Sierra de los Organos,” or Organ Mountains, are so named from their pinnacled summits and sides, which resemble the pipes of an organ. They are of a light gray granite, and rise to the height of 3000 feet above the river. 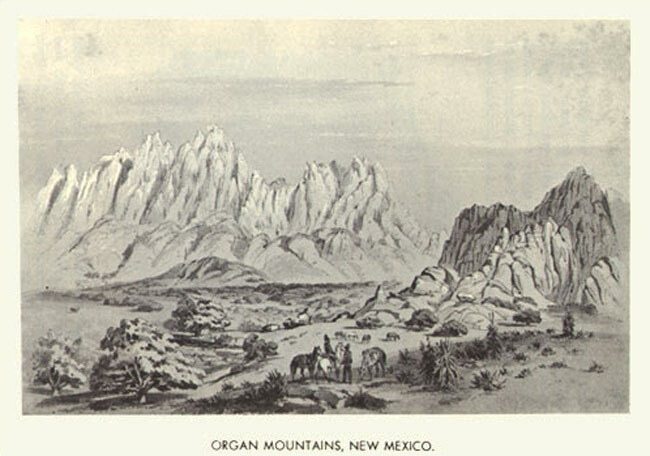 The range runs north and south, and joins the El Paso Mountains, not far from the town of that name…From the place where we had halted and lunched, I took a sketch of these mountains and of the defile through which I had passed. A small stream flowed near us, marked by a line of fine large oaks. Midway between this spot and the mountains rises a bold mass of white granite. Thanks to Jerry E. Mueller, author of the book An Annotated Guide to the Artwork of the United States Boundary Commission, 1850-1853, for showing me this place.